"The Week of a Lifetime!" "Giving children of brave military families an amazing week of non-stop fun and excitement in the great outdoors!" 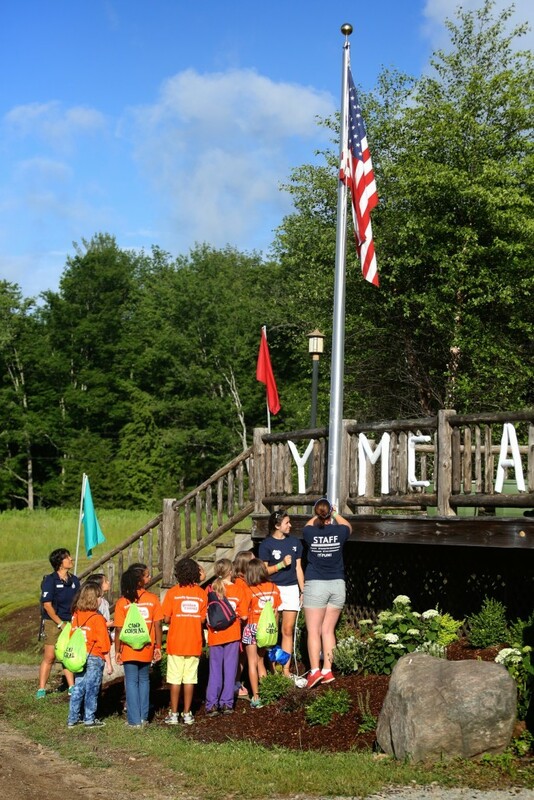 Camp Corral, a 501 (c) (3) tax-exempt, non-profit corporation, is a free, one-of-a-kind summer camp for children of wounded, disabled or fallen military service members. Camp Corral is proudly sponsored by its founding sponsor, Golden Corral Corporation, and other generous donors. 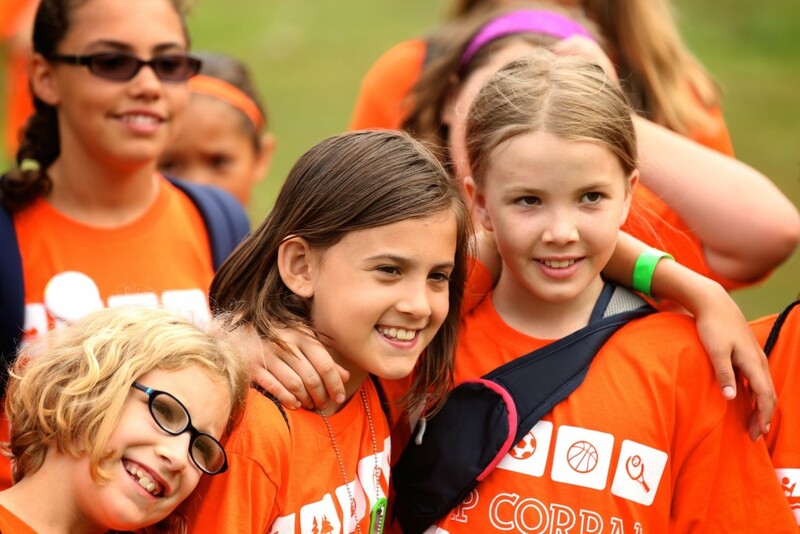 YMCA Camp Gorham is one of twenty two sites in the nation selected to host Camp Corral. Registration opens January 2019. Enrollment space is limited so apply early! 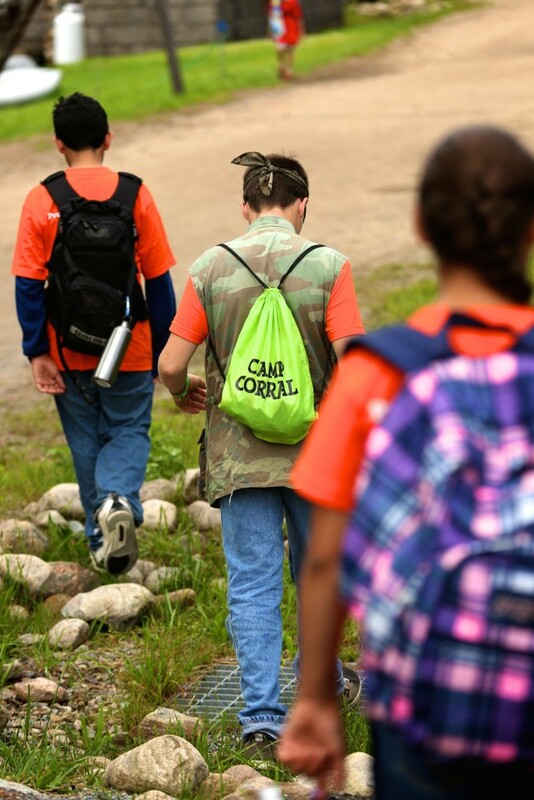 Providing positive, recreational experiences in the outdoors helps foster resilience, and Camp Corral has proven to be a ‘week of a lifetime.’ The week also encourages the campers to create friendships and bond with other kids who share similar family situations. 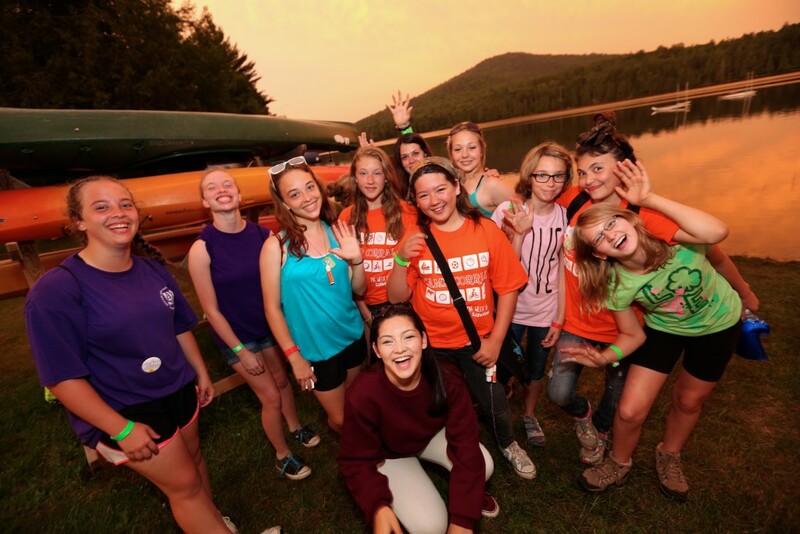 Your camper will spend the week outdoors enjoying the many traditional overnight camp activities Camp Gorham has to offer: swimming, kayaking, canoeing, paddle boards, mountain biking, fishing, archery, high ropes, zip line, hiking, wilderness, and more! 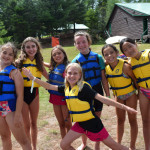 Please view our overnight camp brochure for all Camp Gorham has to offer. Any child, ages 8-15 of a military family may attend. However, registration priority is given to children of wounded, injured, ill, or fallen military service members. How does my camper apply? The camper’s parent or legal guardian must complete their camper’s Camp Corral application online on the Camp Corral website . 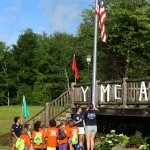 YMCA Camp Gorham will review applications to ensure your camper meets the established guidelines. Once accepted you will be sent instructions on parent/medical forms, what to bring to camp, and arrival and departure times. January 12, 2019:	Registration opens! April 30, 2019:	Priority Consideration Deadline – Last day that applications from children of injured, wounded or fallen service members will be given priority consideration. 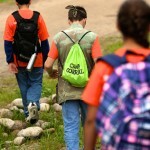 May 1, 2019:	Wait List Processing Begins – Children on the waiting list will be moved up to fill openings for the week of camp. June:	Application Website Closes – Last day to enter an application online. 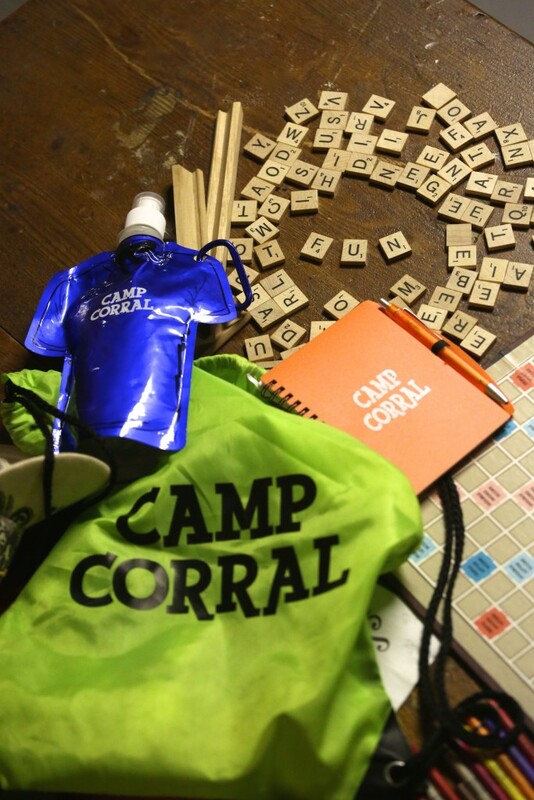 Camp Corral Families will receive an email confirmation after their application is completed. After a camper is registered a follow up email will be sent to the family. If you have been accepted and determine your camper is unable to attend camp, please contact us immediately to allow another camper the opportunity to attend. Choosing the right camp is an exciting process. 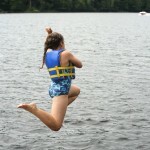 At Camp Gorham we focus on ensuring that every camper feels at home the moment they register. Once your camper arrives at camp, everything our staff team does revolves around making sure they have the most unforgettable experience. Everybody plays a part within the experience for the whole camp. We gather together regularly as large groups and are able to share energy and talents with each other. Our cabins are home base for campers, both in terms of space but more importantly in terms of people. 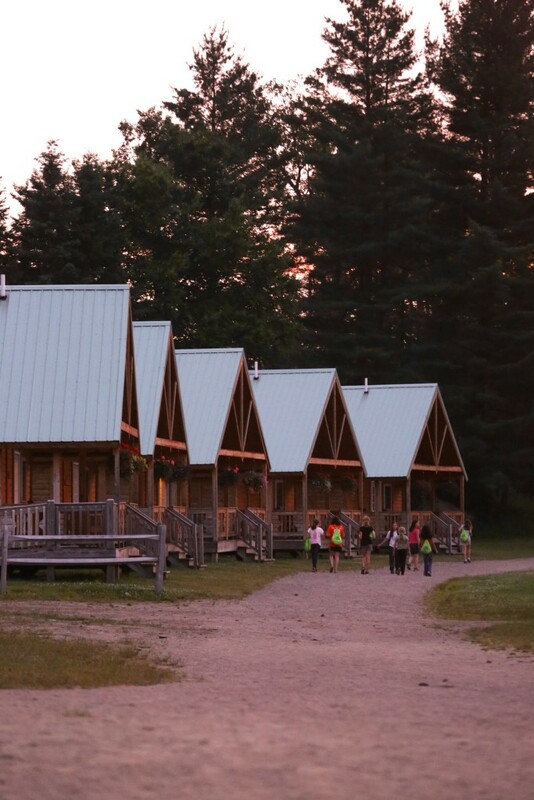 After each day, campers always come back together in their cabin and participate in Evening Embers, a chance to share their thoughts, feelings and experiences. Cabin life is designed to build new friendships in a caring supportive environment. Campers are active participants in the Camp Community taking responsibility for the cleanliness of their cabins; keeping track of their personal belongings; putting away equipment after activities; and clearing tables after meals in the dining hall. 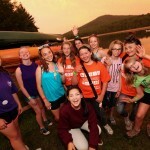 Each Camp Gorham camper is also each assigned to a “Table Family”. Your camper’s table family will be a different group of campers from their cabin group. Table families are assigned by age and gender and help to build friendships outside of the cabin group. Camp will honor one reciprocal roommate request. 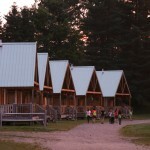 Each cabin is staffed with two Cabin Counselors who live in the cabin with their campers. Parents have the opportunity to meet their child’s counselors at check-in and again during pick up at the end of your camper’s session. 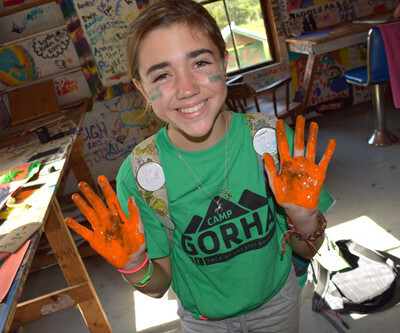 Our Villages give campers something to be part of and proud of within the overall Gorham community. Campers are assigned a village based on age and gender. Each has a distinct identity, having specific cabins and colors assigned to them. Throughout the summer, campers have many shared experiences within their village but also aim to be the loudest and proudest within camp! 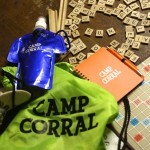 Campers are encouraged to bring clothing in their village color to exhibit their pride. 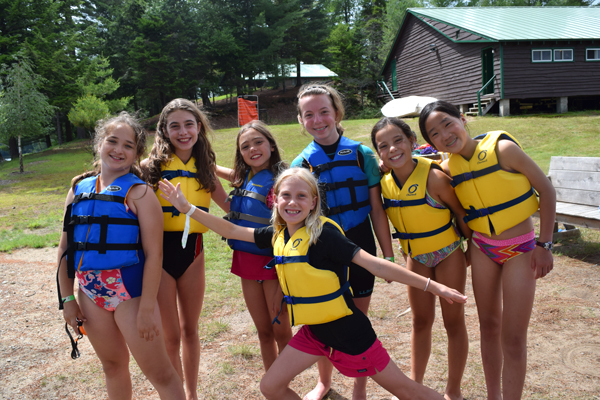 A Village Head is assigned to lead each Village who along with our Head of Counselors create a dynamic environment focused on 5 key elements: Safety, Friendship, Adirondack Experiences, Character Development and Fun! All meals at Camp are served family style in our dining hall; a cereal bar is available in the morning and a salad bar is available at lunch and dinner. Campers who require special diets for medical reasons can be accommodated with advance notice; please be sure to contact us! Staff members are assigned to the Table Families and informed of any allergies or special diets. Fruit is always available for campers and meal times and for snacks throughout the day. Cabins take turns being table setters for each meal to help set up the dining hall. Prior to the meal camper’s gather together in the game zone in front of the dining hall enjoying gaga ball; basketball; carpet ball and the jumping pillow. 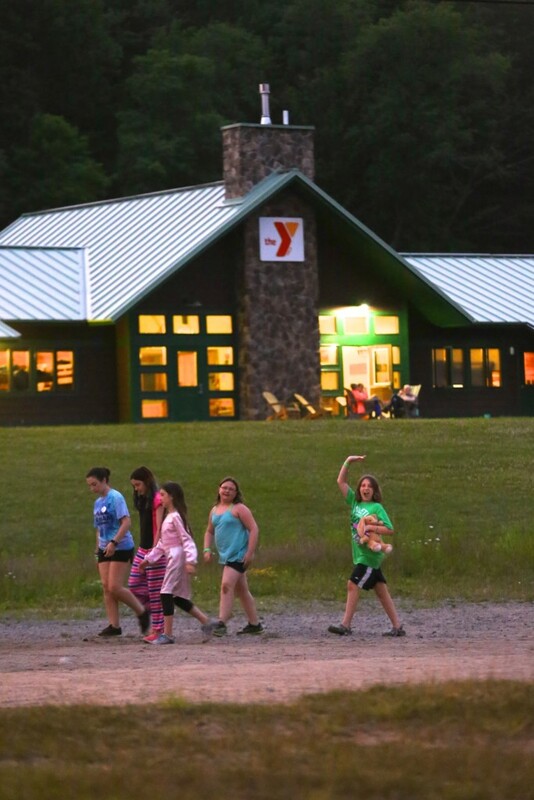 Just prior to the meal, campers line up in cabin groups and called up to the dining hall one group at a time. This line up time includes our lost and found game as well as some cheers; songs; and quick role playing games! The fun continues in the dining hall with spontaneous songs and cheers throughout the meal. Our wonderful team of horses are expertly taken care of by our Equestrian staff but they always welcome extra help. 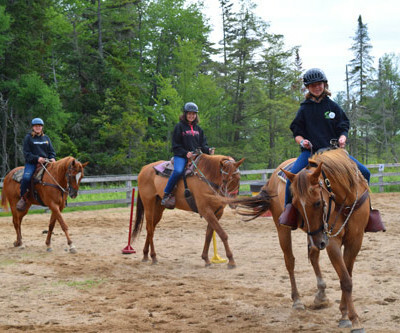 Each morning campers help to bring the horses in from the pasture and get them fed and ready for the day. 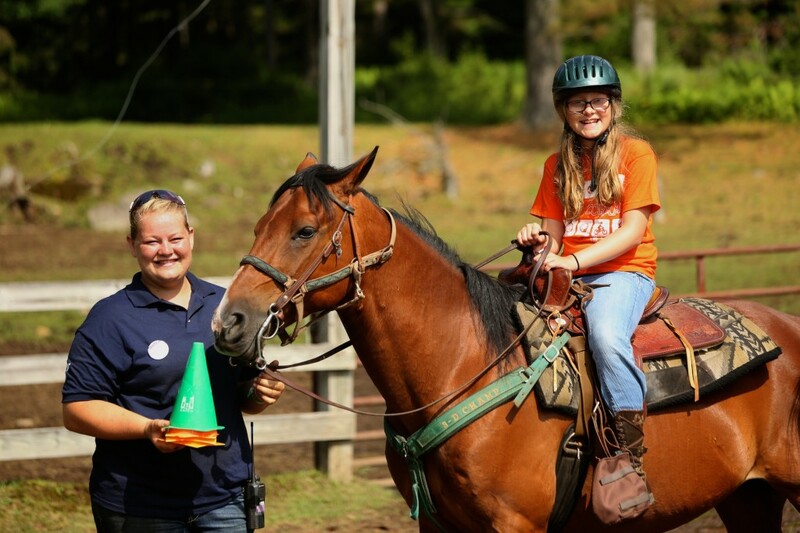 The dedicated volunteer campers who join the equestrian staff every day are awarded the Golden Horseshoe in recognition of their efforts. 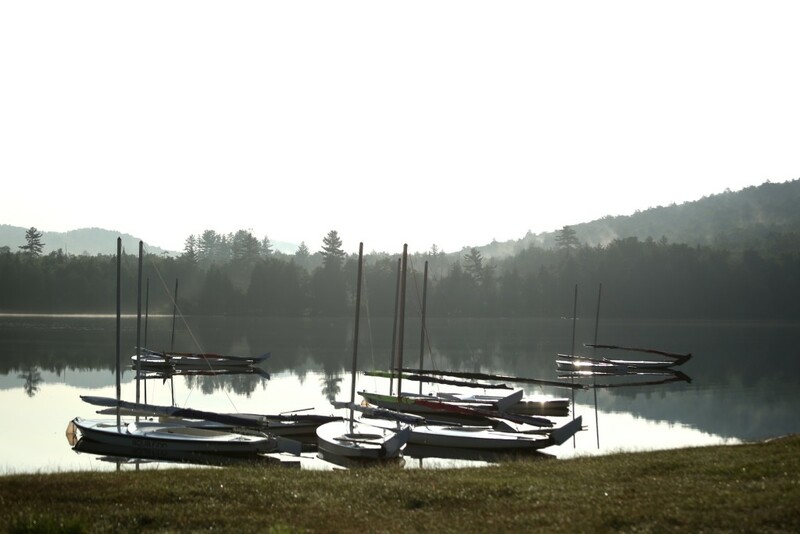 Each morning, with the mist in the air and Darts Lake smooth as glass, the bravest campers and cabins head down to the waterfront to participate in what Gorham Campers have been doing since 1963, the polar bear plunge! 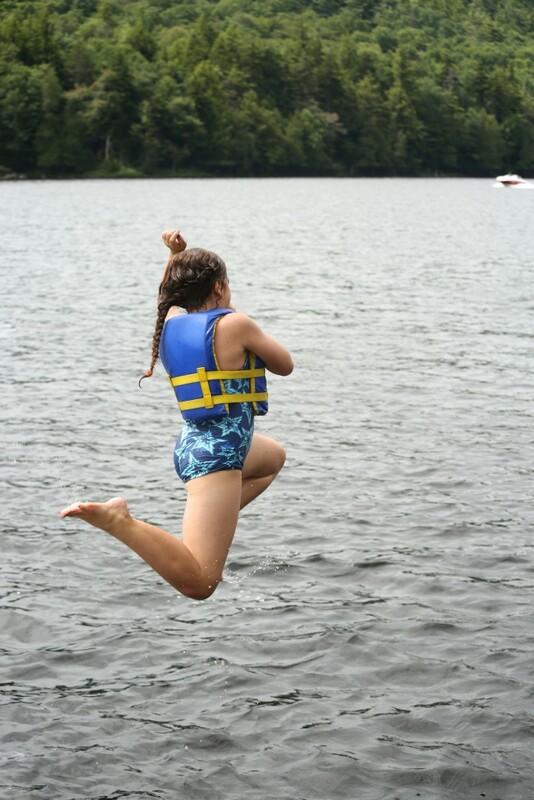 Campers who plunge into the lake every morning ar awarded the polar bear award at closing campfire but even if you only do it once one thing is for sure, no Gorham experience is complete without the polar bear plunge! 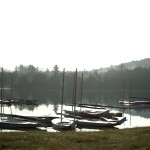 What will your camper be doing at Camp Gorham? Enjoy waterskiing on Darts Lake. For Campers ages 12 and up. 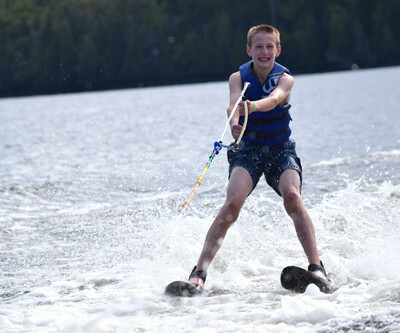 There is no charge for waterski lessons for Camp Corral campers! Limited space is available in this program and spots are assigned based on the order requests are received. 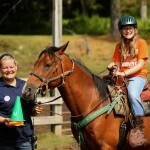 Horseback riding lessons for ages 10 and up are available for Camp Corral Campers at no cost! Limited space is available in this program and spots are assigned based on the order requests are received. 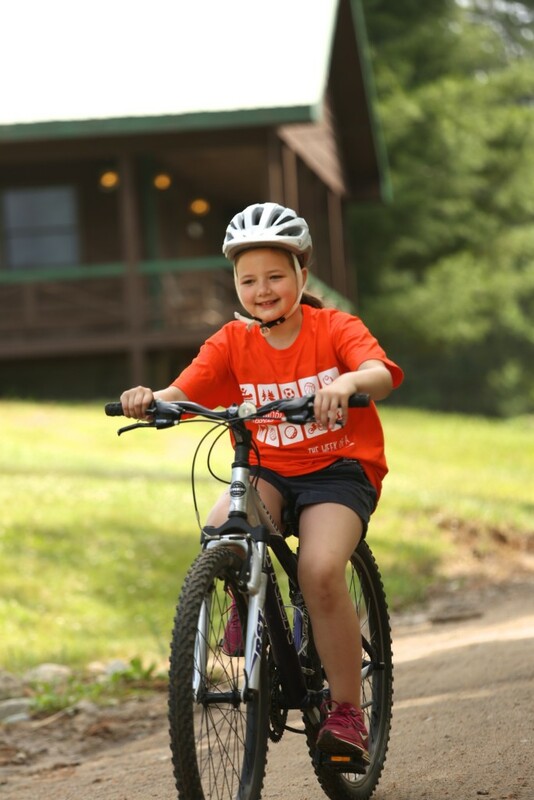 From Archery to Mountain Biking our Land Activities offer something for everyone! 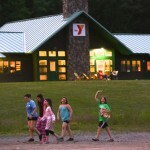 Campers enjoy a wide variety of activities from Adirondack Arts and Crafts to Outdoor Cooking! 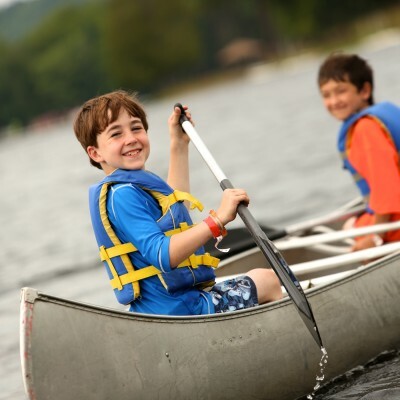 Canoe, kayak, fish, Stand-up Paddle boards, Swimming - Darts Lake provides endless opportunities!